We proud to announce extended exhibition dates for A Culture Carried: Bosnians in Bowling Green at the Kentucky Museum. Open since September 29, 2017, this exhibit is now extended to May 11, 2019. If you have not had the opportunity to visit, make sure to stop by! 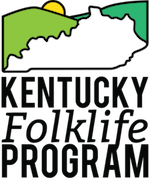 This exhibit is produced by the Kentucky Folklife Program and the Kentucky Museum in partnership with the Department of Folk Studies and Anthropology at Western Kentucky University. The exhibit is made possible with funding from the National Endowment for the Arts, as well as funding from WKU Office of International Programs and generous donors. We are also happy to share the the digital companion to our exhibit, A Culture Carried: Bosnians in Bowling Green, is now available to the public at the following web address: kfpbosniaproject.org. You can now view exhibit information and audiovisual content from the exhibit conveniently online. Previously, this content was only made available to visitors to the physical exhibit at the Kentucky Museum, or to anyone who uses the Kentucky Museum mobile app. Keep an eye on the site – more content will be added as the Bowling Green Bosnia Oral History Project grows!